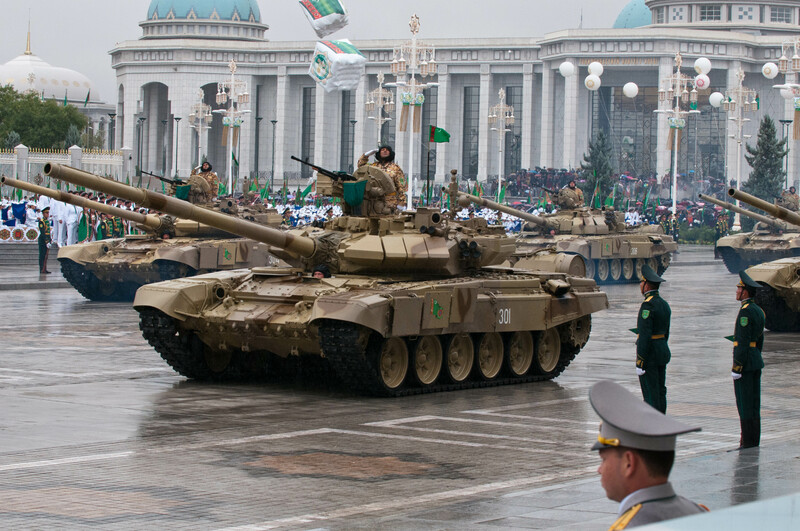 Will Turkmenistan Become a Shield in Jihadists’ Way? After withdrawal of NATO’s forces from Afghanistan increasing radical Islamist activity is expected in that country and in the region as a whole. Washington and its Western allies failed to inflict any serious defeat on the Afghan Taliban movement, moreover, the latter could be able not only to retain its control over a number of Afghan provinces but also developed quite close ties with the Pakistani Taliban movement and the leaders of the Islamic caliphate created in the territory of Syria and Iraq. Today, the so-called “jihadists” seek to maximally expand the area of their influence, including by penetrating to the countries of Central Asia and the Caucasus. 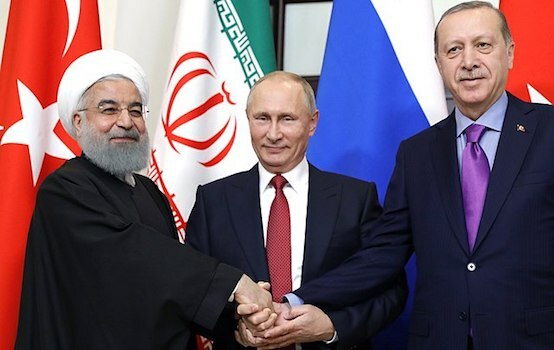 Experts and political scientists are more actively discussing the possibility of repeating the “Arab spring” events – this time in the countries of Central Asia and in Azerbaijan. These states have some features in common with those countries which have fallen victims to the “Arab spring”. Can Turkmenistan become such weak link or will it, on the contrary, become a shield in the way of “jihadists” to the countries of Central Asia and to the Caucasus? Turkmenistan occupies a special place in the regional safety system. The characteristic feature of its post-Soviet history is its constant neutrality status, recognized by the United Nations, the consequence of the same being the country’s non-participation in any military and political alliances and associations. The absence of potential outside adversaries allows the country’s govermnent to keep insignificant – in terms of their size and strength – armed forces. Ashgabat’s equidistance from all global and regional centers and the country’s stocks of hydrocarbons of global significance allow it also to successfully build mutually profitable trade and economic relations with more than one hundred states of the world; at that, the countries which have become Turkmenistan’s key trade partners are Iran (21.7 %), Russia (18 %), Turkey (16.4 %), and China (10.8 %). The main export item for Turkmenistan remains natural gas, however there is a tendency to diversification of the country’s exports by increasing production of oil and oil products, electric energy, construction materials, cotton and other goods. The USA and EU countries show interest in development of trade economic as well as other relations with Turkmenistan. There are plans to build new gas pipelines, in addition to the existing North – South and East – West pipelines, in particular, TAPI gas pipeline 1,735 km long from Turkmenistan to Afganistan, Pakistan and India. Its project capacity is 33 bn cubic meters of gas per year, the estimated project cost is USD 7.9 bn. Turkey plays a special role in Turkmenistan’s bilateral relations with other countries. The similarity of culture, language, religion, traditions, morals and customs favour further close approach of the states in all areas. In particular, during the visit of the Turkish President R.Erdogan to Ashgabat in November 2014 attention was drawn to the fact that more than 600 Turkish enterprises and companies work successfully in the country, while the overall cost of the project realized by Turkish companies in Turkmenistan amounted USD 42 bn. Certainly, the quite fierce competition remains among the interested countries for the Turkmenian hydrocarbons and the commodity and services market; however this competition is not accompanied by attempts to strengthen any particular country’s, or an alliance of countries, military influence here. The competition is mostly limited to lobbying some gas pipeline routes (to the EU, Turkey, Iran, Pakistan, China, India). It looks like all the international players are satisfied with Ashgabat’s neutrality in foreign policy and its accentuated neutral status. The Turkmenian government believes that the country will manage to remain on the sidelines in case of any regional or international conflict, thereby retaining its territorial integrity and sovereignty. However, it is becoming more and more clear in Ashgabat that the threat to the country’s security may come from non-state actors, too, in the first turn from foreign Islamic groups. It has been established that Turkmen fight together with Afghan and Pakistani Taliban militants in Syria and Iraq, and that “The Islamic Movement of Eastern Turkestan” and “The Islamic Movement of Uzbekistan” have been created in the territory of Northern Waziristan (Pakistan). News have come that “the Turkmenian Taliban” has taken under their control almost all the territories in which the TAPI gas pipeline can potentially be constructed (parts in the Afghan and Pakistani territories). In 2014 attacks on the Turkmenian border control posts in the Afghan-Turkmen border became more often. Hundreds of peaceful citizens were killed, some of them beheaded, their property was looted, their cattle was driven away, dozens of houses were burnt. The Turkmen border control guards not only suffer losses, but they are taken prisoners by the Islamists. One can speak about beginning of “sweeping” operations on the part of the militants, who are ousting the local populations from the areas adjoining the border and preparing corridors for further breaking through deep inside the country. They are controlling the automobile road going along the Turkmenian border and are able, at any moment, to march both to the Murgaba (Bagdis) valley and Andkhoya (Faryab) district. The Afghan and Turkmenian authorities are no longer controlling their common border, in terms of drug trafficking, smuggling and penetrating of Islamic groups, nor are they able to control the movement of local cattle breeders for grazing their cattle on both sides of the border. One should bear in mind that in the period when the Basmachi movement was defeated in the USSR in the 20th-30th years of the last century, a number of large and influential Turkmenian clans fled to Afghanistan, to the regions near the border. They are still lodging claims for return of their ancestral lands, being the subject of constant blackmail against the government of Turkmenistan. The issue has acquired special importance as two large natural gas deposits – the Serakh and Murgab oases – have proved to be near the lands claimed by the Afghan Turkmen. So, there is the ever increasing possibility of attack of Afghan Talibs and “jihadists” of every stripe and colour on Turkmenistan in spring of 2015. The many peoples who are permanently residing there – Hazara, Turkmens, Kurds, Uzbeks and Tajiks – are joined, as of late, by increasing numbers of persons originating from other provinces of Afghanistan and foreign “jihadists”. It is expected that they may invade Turkmenistan from Bagdis velayat along the Murgab River valley. Notwithstanding the fact that the area in this place has strong engineering fortifications and a border guards units is staying there, the Murgab valley is attractive for the militants as the most efficient route for subsequent march to the north. There is civil population there (who might be taken hostages), a lot of cattle, product warehouse, good roads, a large number of vehicles and even arms. From Takhta-Bazar, one can quite easily arrive, by an asphalted road, to the strategically important city of Iolotan, near which is located a large natural gas and oil deposit Galkynysh site – the resource base for “TransCaspiy” to Europe. It is from this place exactly that the new strategic “East – West” gas pipeline towards the Caspian sea-shore. The Turkmenian government, though with some delay, is reacting to the increased threat from Afghanistan. Prompt measures were taken to strengthen the border control and other defense and law enforcement agencies at this part of the state border, new fortifications are being built. A ditch, four meters wide and five meters deep, has been dug along the Afghan border, reinforced with metal meshwork shields. Along with that, contacts with potential allies in the fight against Islamists are being developed. Thus, on September 14, 2014, General Khossein Dehgan, the Iranian Minister of Defense, paid a visit to Turkmenistan for coordination of the two countries’ efforts in the sphere of regional security. The main topic of the Iran-Turkmen negotiations became the interaction of Turkmenistan and Iran in case of invasion of “jihadist” militants to Turkmenistan from Afghanistan. The Iranian side expressed its readiness to carry out, within the nearest period, maneuvers of the Iranian army in its north-east province, inviting the Turkmen military as observers. On September 11, 2014, the President of Turkmenistan G.M.Berdymukhammedov suddenly arrived in Dushanbe to participate in the SCO summit as a guest of honour, though the country headed by him is not a member of this Organisation and earlier has demonstratively distanced itself from any all-regional initiatives. In the course of the summit, the President of Turkmenistan met the Presidents of Iran, Mongolia, the Chairman of the PRC as well as representatives of India and Pakistan. 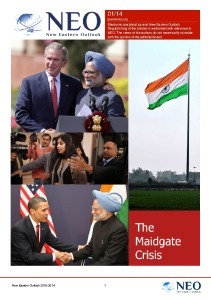 It may be suggested that regional security issues were discussed at these meetings as well. In August 2014, the Turkmenian government effected “de-Islamisation” of its education system. In the framework of implementation of the bilateral treaty On Cooperation in the Sphere of Education, concluded between the governments of Turkmenistan and Turkey on August 15, 2014, were closed the Turkmenian-Turkish school and the Turkmenian-Turkish University. The Turkish school was left only for children of the Embassy employees and employees of the Turkish companies working in Turkmenistan. The University was converted into a national university, its curricula were revised and substantial (in terms of local estimates) fee was charged for studies. At the same time, the new treaty concluded between Turkmenistan and Turkey in the sphere of education has fully eliminated any non-state interference. Subjects related to religious studies have been removed from school curricula, the prayer hours (which were obligatory between the classes) have been abolished. All the innovations in the education of children, introduced on the initiative of the well-known Turkish religious scholar Fethullah Gulen, have been liquidated. Therefore, the government of Turkmenistan is taking preventive measures to defend the state against any possible attempts on its sovereignty on the part of radical Islamist groups from the Afghan direction. Notwithstanding the still preserved authoritarian character of the government in place and some elements of the “Arab spring” inherent in it, one should not expect violent overthrowing of the government and “jihadist” expansion to Turkmenistan in the next few years. The country has formed quite sustained traditions of secular power to which, as of today, there is no visible alternative or organized opposition. The majority of Turkmens practice moderate-tradition Islam, the 5 million population of the country is diversified as per tribal characteristics and lives in a common territory, the necessary life-sustaining minimal wages for all categories of citizens is sustained, the government pays attention to development of industry, infrastructure, housing construction, improvement of education and healthcare systems and other vitally important aspects of social life. 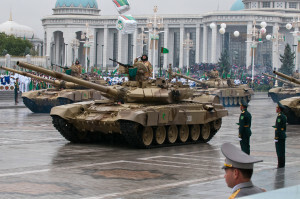 In case of direct invasion of “jihadists” to Turkmenistan, Ashgabat relies on urgent assistance on the part of authoritative international organizations, first of all the United Nations Organisation, as well as great powers (Russia, China, the USA) and its regional partners (Turkey, Iran, etc.). Stanislav Ivanov, a senior research fellow at the Institute of Oriental Studies at the Russian Academy of Sciences, PhD in history and columnist for the “New Eastern Outlook”.